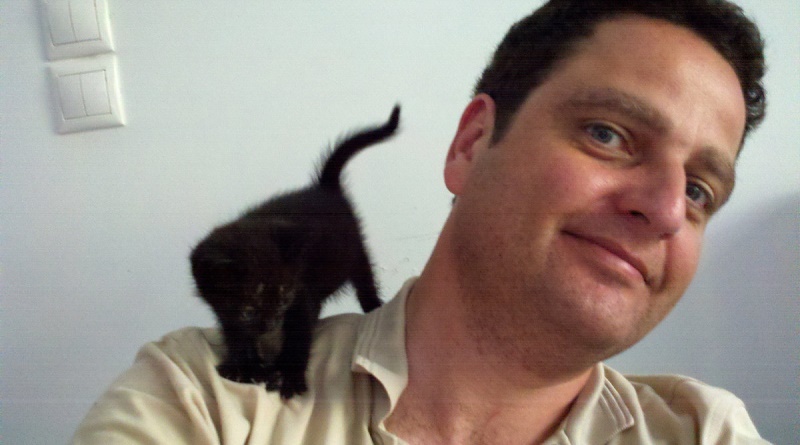 In this interview with Antonis Petropoulos in Athens, Greece, learn about Ecoclub.com, a web portal and forum for ecotourism professionals. Antonis provides an insider’s view on the current state of sustainable tourism in Greece, a country and destination blessed with unique landscapes and rich heritage, but also facing many challenges on the sustainability front. How to tell compelling sustainability stories. 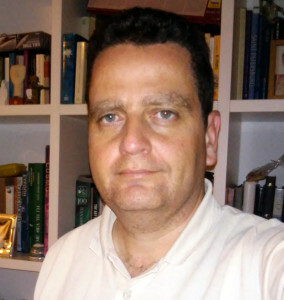 Antonis, why did you start the International Ecotourism Club (ECOCLUB.com) in 1999? After a rather brief career as an employee in the Shipping industry, a trip to Belize and a lot of soul-searching I decided not to wait for a mid-life crisis and do what I really wanted to do, and play my little part in the broad global movement for environmental and social justice, not through politics, but in a quiet, practical and pleasant way, through appropriate forms of tourism, such as ecotourism and through the new, revolutionary medium that was then the Internet. Do you remember the first time you heard about ecotourism? What got you interested? First of all I would like to thank you for this great opportunity, it feels funny being on the receiving end after having interviewed a number of people myself. I also feel I must clarify that I do not really see or wish to see myself as a “leader”. From a social ecology and mutualist perspective, I distrust leaders and hierarchies and believe everyone must lead themselves – especially in a sector and a movement like ecotourism/sustainable tourism which is all about the grassroots. I do not exactly remember when I first heard the very word “ecotourism” – it was certainly during the last century (!) perhaps in an academic article but I do remember the first time I practiced ecological tourism, without realising it at the time, when like many other young students of my generation, I travelled around Europe by rail (with an Interail pass), this was back in the summer of 1988. Some forget that in Ecotourism, as in Cavafy’s famous poem (Ithaka), it is the journey that matters, how you reach your destination, along, of course, with the destination itself, the communities and the businesses and all tangible and intangible things that constitute a destination. I was interested in environmental and social issues from a young age, thanks to my parents and my teachers, and also greatly enjoyed travel, so ecotourism seemed the natural choice, the perfect combination. As ecotourism community manager and online publisher, which have been the most significant changes over the last 15 years? I would say the first dot-com boom and bust, the advent of Google search which killed the old directories, and finally the meteoric rise of the social media which is currently challenging Google and old-style media alike. Somehow travel booking and review sites have survived by adapting and adopting, but also by being immune to the noise. We, as in we the 99%, have been fortunate that despite concentration and oligopoly tendencies, the Internet largely continues to offer a level-playing-field with low barriers to entry, with increasingly important open-source, creative-commons and crowd-funding options. Despite the best efforts of some corporates and governments, it has not fragmented, it is not fully monitored, and free speech and activism is still possible in most countries. Which have been the main lessons for you? The main lessons involved learning to live by the consequences of one’s life choices and how to be flexible, realistic and open-minded without compromising one’s ideals, which is after all the most practical way “to be the change”. Being based in Athens, your thoughts on the current state of sustainable tourism in Greece? Well Athens, a major tourism destination since at least the roman times (and in a way sustainable as the worlds oldest continuously inhabited capital city) despite its notorious smog (nefos) and 1960s “sea” of concrete has become more tourist-friendly and eco-friendly in the past decade, peculiarly thanks to an unsustainable event like the Olympics, which facilitated the construction of, an ever-growing since, subway and tram system. There are many paradoxes and contradictions and conflicts in Greece, a result of its situation in geopolitical and cultural (and economic!) crossroads. One of these contradictions is the fact that it combines first-world tourism infrastructure with third-world environmental practices. Perhaps I am being too harsh, but you get the picture. Is Greek tourism as a whole environmentally, socially, economically and politically sustainable? I am not sure. But equally I am not sure about international tourism as a whole in an early 21st century with climate change, recurring economic crises, wars, refugees and destitute migrants. We have to realise that apart from sustainable tourism development, there is also the option of sustainable tourism degrowth, especially in developed and unsustainable destinations. I would classify some parts of Greece in that category also. Most Greek tourism commentators consider Greece unlucky due to its high seasonality (a direct effect of 5 months of bad weather and 3 months of unpredictable weather), but I believe this is a silver lining in that it prevents us from a tourism monoculture. In which countries/regions do you observe most interest in responsible/sustainable tourism? There is interest worldwide, both in countries that are more or less environmentally aware, egalitarian, free and rich in tourist attractions, and those that lack any of these characteristics. But there is usually a long distance to be covered from mere “interest” to full “success”. One also has to separate source markets and destinations, although some countries are both. Many of the destinations usually identified with ecotourism/sustainable/green/responsible tourism are in the global south and include Costa Rica, Belize, Brazil (Amazon), Ecuador (Galapagos), Tanzania, South Africa (Cape Town), India (Kerala), Seychelles, and many Caribbean islands (from Dominica to the lesser known Barbuda). But you can find isolated best practices in nearly every country. Connecting these isolated efforts is crucial to moving forward. It would also be fair to include all countries (and regions) in the global north (including the Antipodes) that have sound environmental policies in all economic sectors and well-managed protected areas as well all cities that have green infrastructure (transport, housing etc) waste management policies and combine multiculturalism with social cohesion and integration. These urban centres are usually major producers of green tourists. From your experience, which issues do ecotourism operators struggle most with? But a common issue for all genuine green operators is “unfair” competition from all those who cut corners, by not even meeting legislation (such as environmental, safety and tax), let alone high standards. In this world of actually-existing-capitalism, the truth is that few consumers (around 10%) would choose the more expensive but greener holiday option if they could find a cheaper, less sustainable or greenwashed one. This race to the bottom inevitably takes place on the backs of exploited tourism employees (and trainees, and interns) and small owners blackmailed by multinational tour operators. I long for a world where quality tourism is affordable for all and accessible to all, but it just is not possible under the current global system. 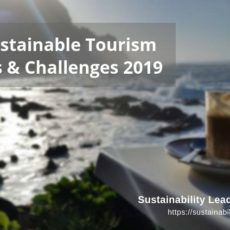 Which sustainable tourism stories, written or personally witnessed by you, have been the most inspiring and memorable? When it comes to stories and inspiration, I prefer non-fiction and things that can and have been done, to eloquent fiction and utopia. For this reason I consider that the most inspiring sustainable tourism stories that I have been involved with are community micro-projects decided by local communities. Some of these were facilitated by our Members and co-funded by ECOCLUB.com between 2004-2011. I hope that we can relaunch this activity soon in an improved and expanded framework, with the cooperation of our Members. Which achievement(s) at ECOCLUB.com are you most proud of? And what keeps you motivated to continue? I try to avoid pride, one of the “seven sins” (Superbia). My motivation is an optimistic – perhaps – belief that I can put my ideas into practice through ecotourism. And my son – as Marx & Engels first wrote, “like boni patres familias, we must hand the world down to succeeding generations in an improved condition”. The goal during this, our second, decade is to improve mutual support and deepen cooperation between our Members, so that we can jointly help local communities meet their real needs and aspirations through genuine ecotourism, ecological & equitable tourism. Currently, as exciting or as boring as that of most other people working in an office I am afraid, if a bit more quiet as there are far more emails than phone calls. But I enjoy and often get enjoyable disruptions in the form of visits by friends and colleagues from afar. Before my son was born, I used to travel a lot more, but I am already “catechising” him in the ways of ecotourism, starting from our local (but world renown) Athenian attractions. The more local the more eco. Your favorite tourism, travel or sustainability book in 2015? I am currently reading “Volunteer Tourism: Popular Humanitarianism in Neoliberal Times” by Mary Mostafanezhad and hope to be reviewing it in our website soon. It deals with issues that other books not even mention in the Index. 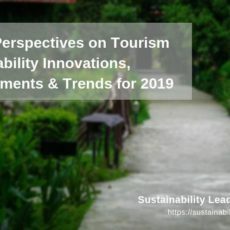 Your advice to ecotourism businesses and destinations on how to tell compelling sustainability stories? In relation to ecotourism businesses, always tell the truth, be yourselves (human not hero, unless you are one), avoid hype, stick to the facts, do not go into minutiae, once more do not forget the humans, the hosts, your employees – even better let them tell the story. Be competitive without being antagonistic, cooperate. Know your audience, it is discerning and will see through any fake. 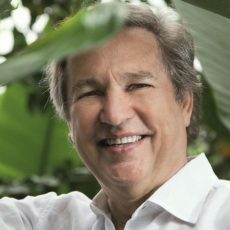 In relation to ecotourism destinations, I respect those destinations that decide how they wish to both develop and present their tourism image in a direct democratic fashion, aiming for maximum involvement of all their citizens, and not just tourism “stakeholders” – certainly not just relying on experts and advice – including this one! For more, visit Ecoclub.com or follow ECOCLUB on Twitter, Facebook or LinkedIn. Enjoyed our interview with Antonis Petropoulos on the current state of sustainable tourism in Greece? Share and spread the word!